Halloween has come to once again and Our Halloween Mommy is pregnant with a new baby & she needs your help. Are you ready? 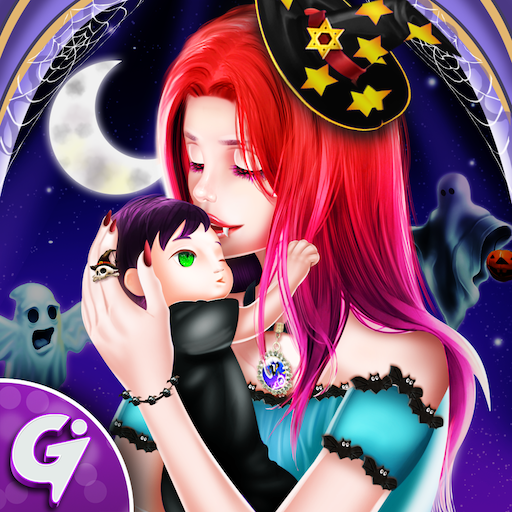 In this Halloween NewBorn Baby & Mommy game, you have the most important role and you will have to learn how to take care of pregnant mommy and newborn baby. So let's help her through emergencies and witness the Halloween NewBorn baby. 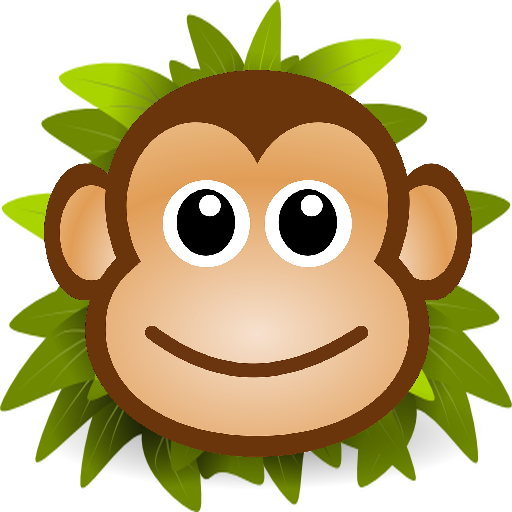 In this newborn baby game you have to start a routine checkup, use of tons of different medical tools like a thermometer, stethoscope and check temperature, heartbeat, blood pressure for mommy and as well as for the baby. Exercise during pregnancy provides health benefits for both mother and baby, so have to select your favorite exercise in this Halloween game and perform it. 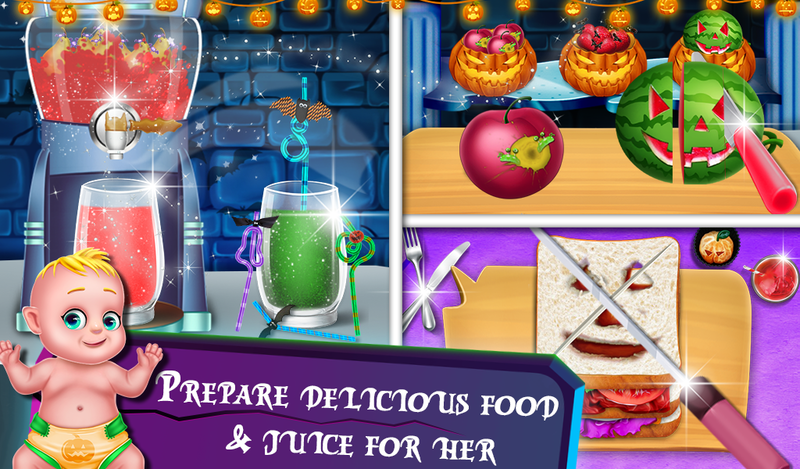 Oh, Mommy is hungry, so use your cooking skills in this Halloween Mommy game and make the delicious sandwich by adding the necessary ingredients in it and feeding her. 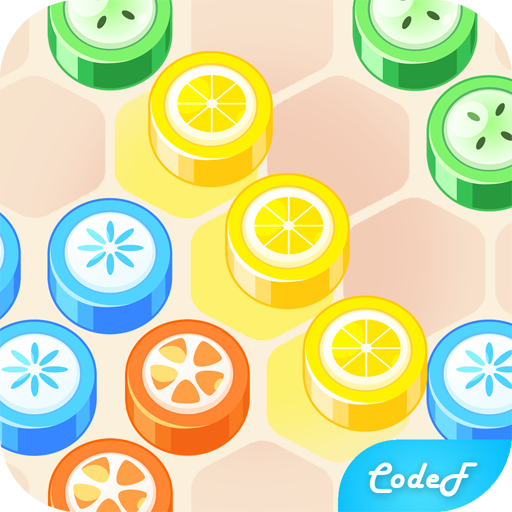 Don't forget to prepare some healthy fruit juice for her. Baby room needs some decorations, so let's decorate it by selecting a colored bed, cupboard, beautiful dressing table, toy box and much more. Next Iron the clothes and Put all things properly inside the bag and arrange it for baby. Now it's time to take care for mommy by giving her medicine and some healthy food to eat. Next, use your creative skills to make a beautiful painting and turn her belly into a work of art. 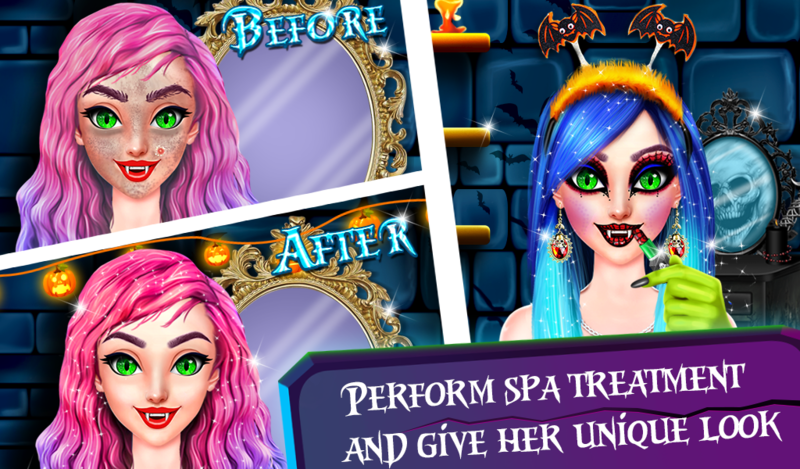 Next, use your makeover skills in this Halloween salon game and give her a relaxing spa treatment to drive away all her tiredness. Apply the shampoo and mask to remove a pimple, dark circle and give her clean skin. Wow, She feels so good after spa treatment and her skin looks perfect thank you so much for the help. 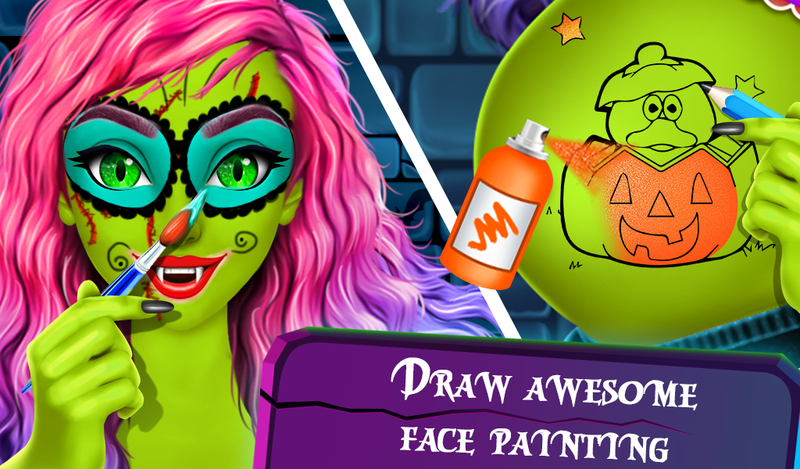 Show your painting skills and paint her face as you want in this Halloween face painting game. After the spa treatment, She wants to look beautiful, can you help her with makeup? Select a beautiful hairstyle, blusher shade, eye lenses, stylish earrings, eye shadow, lipstick and give her attractive look. 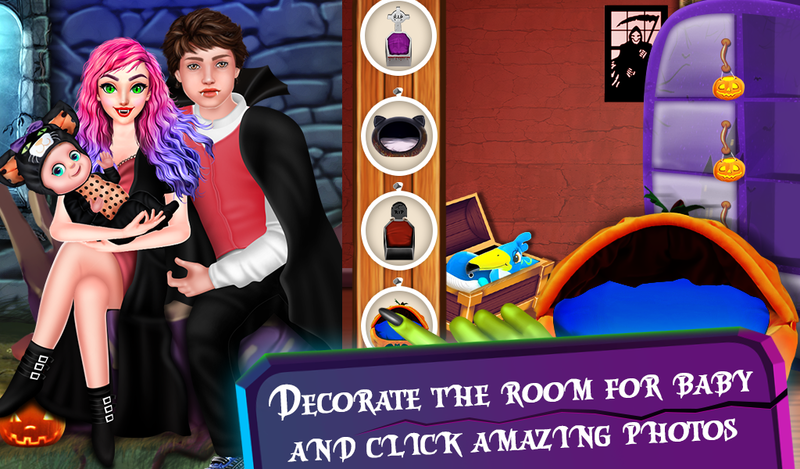 Next, Become a fashion guide for pregnant mommy and help her to select dress up accessories like a Halloween dress, top, stylish bottom, stockings, stunning necklace, crown and much more in this Halloween Dressup game. 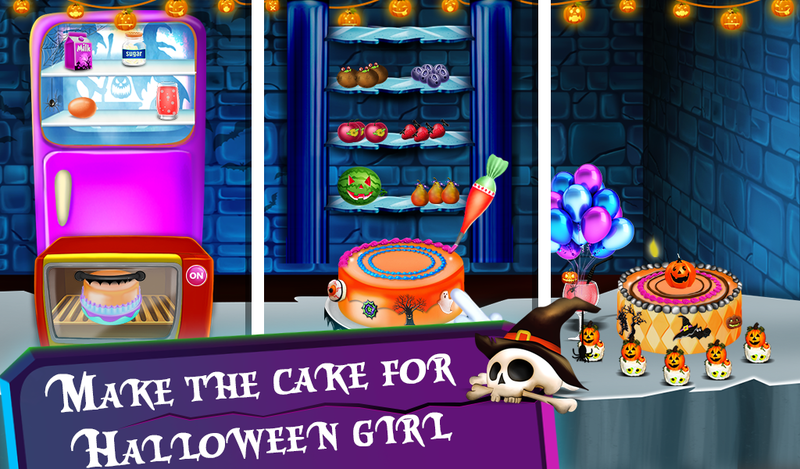 Be the best cake baker in this Halloween cooking game and use professional baker tools to bake, design & decorate the most delicious cake for pregnant mommy. Oh! She is going to have a baby! Can you take care of her till the ambulance arrives? Completing tons of caring activities like Call 911 emergency number, Tap on the bell for giving her kisses, Give her water to drink, Give her oxygen mask and much more. Make sure progress bar is full. Wow! A newborn baby is here, can you take care of mom and the little one? If yes then get ready to perform lots of baby caring activities like a clean baby with the help of a sponge, put the clamps on umbilical cord, cut the umbilical cord with the scissors, check the weight of baby, give her proper medicine and much more. At the end, take some amazing photos with different poses and save it for good memories.